سواءً كنت مسافراً بغرض السياحة أو العمل, Alpine Lodge Motel هو خيار عظيم للإقامة خلال زيارتك هانمر سبرينجس. يمكن من هنا للضيوف الاستمتاع بسهولة الوصول إلى كل ما تقدمه هذه المدينة النابضة بالحياة. يشكل هذا الفندق ملاذاَ مريحاً للاسترخاء ويمنح زواره فرصة للاستجمام والتجدد، وهو يقع على بعد خطوات من المعالم السياحية الكثيرة للمدينة كمثل: هامر سبرنج, هانمر سبرنج سنتر, The Decadent Fudge Company. كما يقدم Alpine Lodge Motel الكثير من الخدمات لإغناء رحلتك في هانمر سبرينجس. يمكن الاستمتاع بمجموعة من الخدمات على أعلى المستويات في الفندق كمثل واي فاي مجاني في جميع الغرف, مرافق مخصصة لذوي الاحتياجات الخاصة, تسجيل وصول/خروج سريع, تخزين الأمتعة, واي فاي في المناطق العامة. في Alpine Lodge Motel غرف نوم يزيد عددها عن 23 صممت بذوق وعناية لتوفر لك كل وسائل الراحة . بعضها يحتوي أضاً على تلفزيون بشاشة مسطحة, اتصال لاسلكي بالإنترنت, اتصال لاسلكي بشبكة الإنترنت (مجاني), حوض الاسترخاء, غرف لغير المدخنين. يقدم الفندق خدمات رائعة كمثل مسار جولف - ضمن 3 كم, حديقة لمساعدتك على الاسترخاء بعد نهار طويل من النشاط والتجوال في المدينة. يحظى فندق Alpine Lodge Motel بموقع ممتاز وخدمات يصعب منافستها. Great location to thermal pools,shops and restaurants. 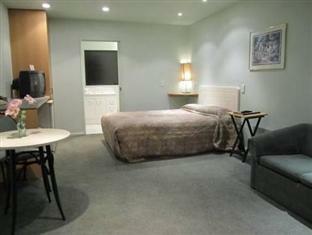 Comfortable accommidation & convenience to thermal pools & shops. Close to the pool and shops. Room was small and you could hear the noise from the next room. However, staff waa friendly. Located near the town center but peaceful , quiet and nice. Walking distance to the Dog stream tral for hiking. Good Thai food on the opposite side of the road. Room was clean& comfortable. Stayed for a night at Alpine Lodge. The receptionist lady was friendly and helpful. 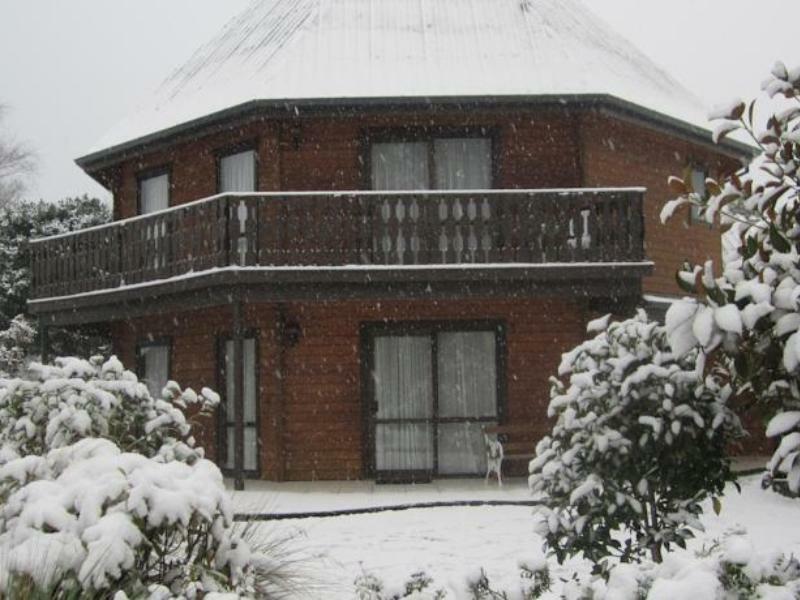 Location was great - only a 5min walk away from Hanmer Springs. Room design was a little outdated but was spacious, clean and adequately furnished, and it came equipped with the essential kitchenette supplies that enabled simple heating up of food. Wifi connection was acceptable. Only grouses were the dryer in the laundry room was not powerful enough and the tv channels selection were limited and not very interesting. Overall, still a comfortable stay. Warm, comfortable , great views of snow covered mountains. 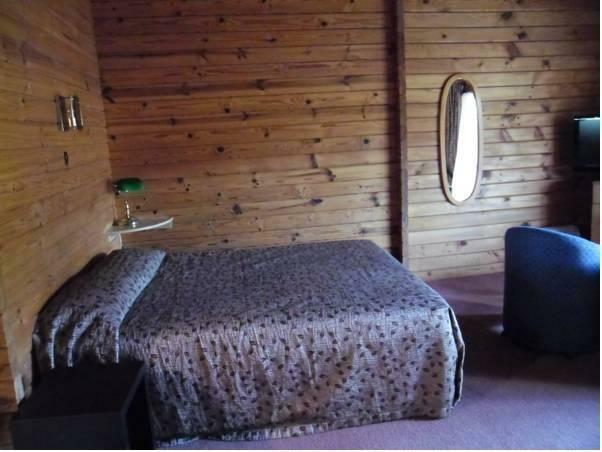 great motel, only disappointment was no electric blanket on single bed. Put simply, a wonderful place to stay. Spotlessly clean, efficiently run and a wonderful place to stay. Please, don't change a winning formula! Very very noisy . Walls very thin. Heard neighbours coughing, turning over in bed. One night wasenough. And our neighbours were not really making much noiseat all. We could hear everything. Even quiet talking. And neither of us even had the tv on. 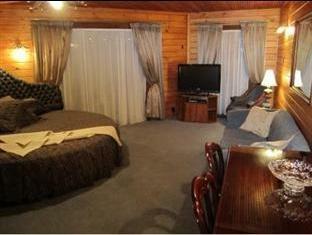 Spacious room with comfortable bed, bathroom is clean and newly renovated. Location is good, 5-10mins walking distance to the thermal hot springs and restaurants. As mentioned in the title, summer time could get pretty hot and humid. Opening the windows would meant inviting insects in, not opening them would make the room stuffy. Although there is a small fan which doubles as a heater, it was not powerful enough for the whole room. Let down by the wooden walls between the units.Voices and noisy water pipes could be heard from neighboring units at night. A very comfortable stay. Room was large and well equipped. Staff were very helpful and friendly. Close to local walking tracks. Large room with kitchen. Walls thin lots of noise carried through from next door!! Walking distance to main street shops and across the road from the Springs. Great place to stay while visiting Hamner. Big room, comfy bed and the patio doors let in lots of light and a light breeze. Right across the road from the pools. The motel had a few problems in the process of being resolved. Friendly Managers working hard to resolve issues. Very comfortable stay,clean and in the main road close to the hotwater spring which was lovely!beUtiful little town!